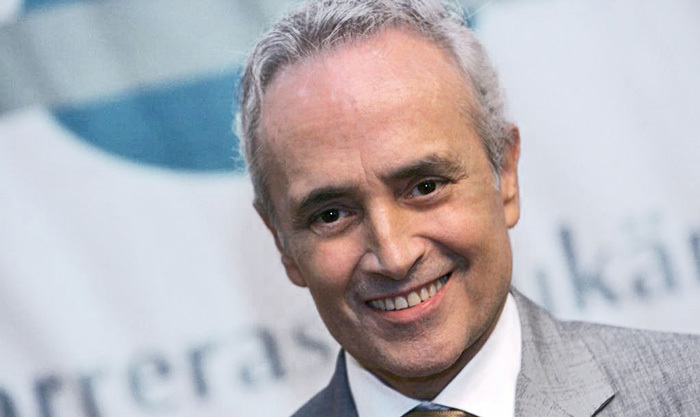 José Carreras is a Spanish opera singer and health worker. One of the legendary “Three Tenors” along with Plácido Domingo and Luciano Pavarotti, he is also known for his humanitarian efforts as the founder of the José Carreras International Leukaemia Foundation. Born “Josep Maria Carreras i Coll” on December 5, 1946 to a poor family in Barcelona, Spain, he showed an early talent for music. After watching Mario Lanza perform in The Great Caruso at the age of 6, Carreras studied piano and enrolled at the Superior Municipal Conservatory with the backing of his grandfather Salvador Coll, a struggling baritone. José Carreras debuted at the Grand Liceo Theatre in Barcelona when he was only 8, singing fragments of singing ‘La donna è Mobile’ on Spanish National Radio. He often shared the stage with Montserrat Caballé, which added to his fame and brought him worldwide recognition. His legendary performances at the Metropolitan in New York, the Convent Garden in London and the Scala in Milan made him a global star who performed in the world’s leading opera houses. Carreras certainly had one of the most beautiful tenor voices in history. Famous music journalist Fernando Fraga has described it as a lyric tenor with the generosity of a spinto, having “a noble timbre, richly coloured and sumptuously resonant”. José Carreras has received various awards and accolades in career. He won the Grammy Award for Best Classic Vocal Solo in 1991. In 2009, he was honored with the Classic Brit Lifetime Achievement Award. José Carreras married Mercedes Pérez in 1971. The couple had two children together, namely Albert and Julia. He married Jutta Jäger in 2006.